After Dark Films proudly announces the seventh film in its After Dark Originals 2 series, Mischief Night (not to be confused with THIS Mischief Night), a story that takes place on the most devilish night of the year where things are not always as they seem. 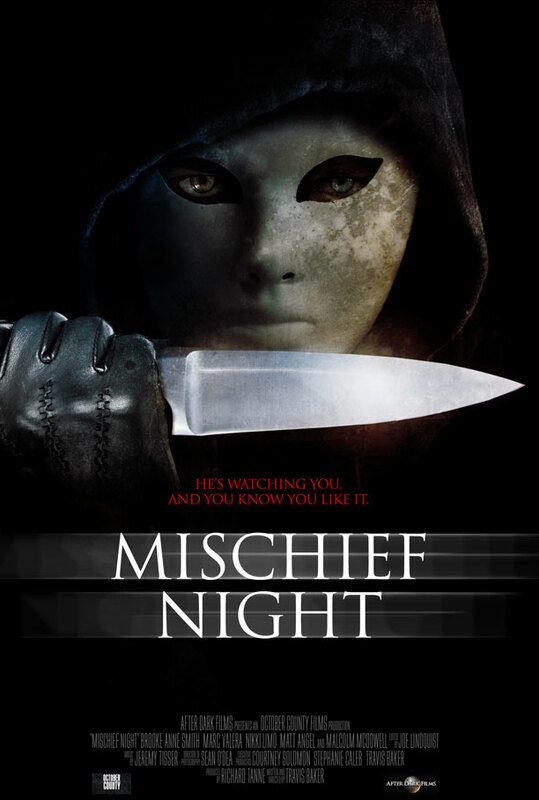 Mischief Night marks the directorial debut of Travis Baker, starring Brooke Anne Smith (CSI: Crime Scene Investigation), Marc Valera (Melrose Place), and Malcolm McDowell (A Clockwork Orange, Rob Zombie’s Halloween). Kaylie is just like most other girls her age. She babysits, enjoys stealing from her parents liquor cabinet, and has boys who like her. The only difference between Kylie and other girls is that the boy who likes her, wants to KILL her. 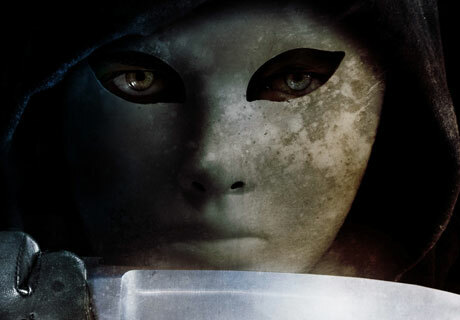 On Mischief Night, the night before Halloween, Kylies true nature is revealed when she is attacked by a psycho who wants nothing more than to see her insides. The film is getting a limited theatrical run on the 30th – details and trailer here.